Alexander and I had a great time at the Houston Zoo taking photos of the animals. We were so happy to see that a new lion is prowling there, and spent most of the day coming and going near his exhibit to see if we could get a good enough photo for me to create a companion rug for Satu the Tiger. On our last round of the zoo in the late afternoon, Ashani the lion decided to get up from his nap and climb the central rock where he sat there really looking sassy, the king of the animals. We go so many great shots it was hard to decide which to use for my inspiration. But here is the picture that well was picture perfect. 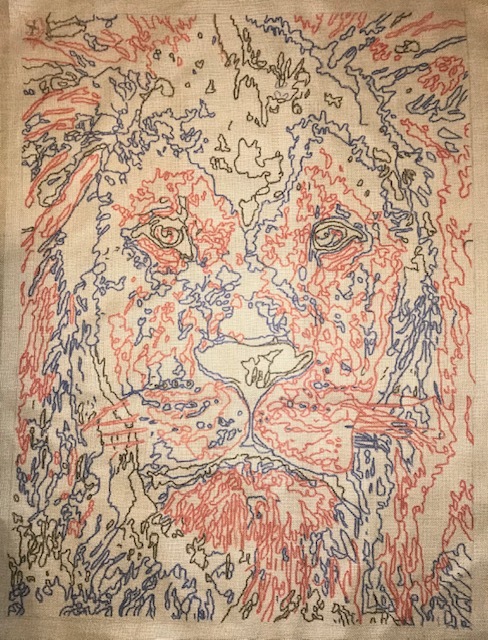 I spent two weeks creating the pattern, transferring it to linen, and getting all the wool cut and organized. 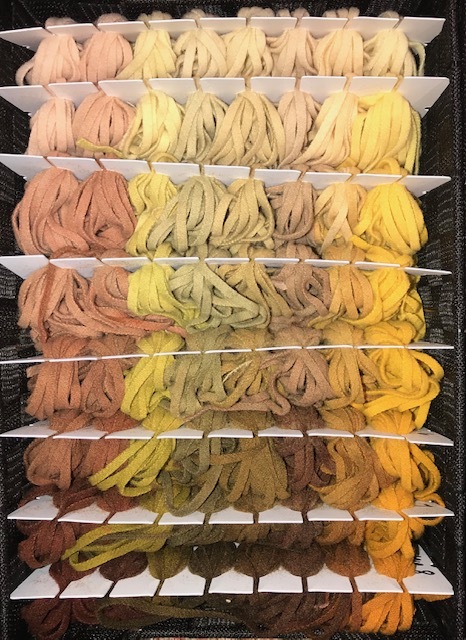 This time I am trying something different with wool organization, using floss organizers in tight baskets. 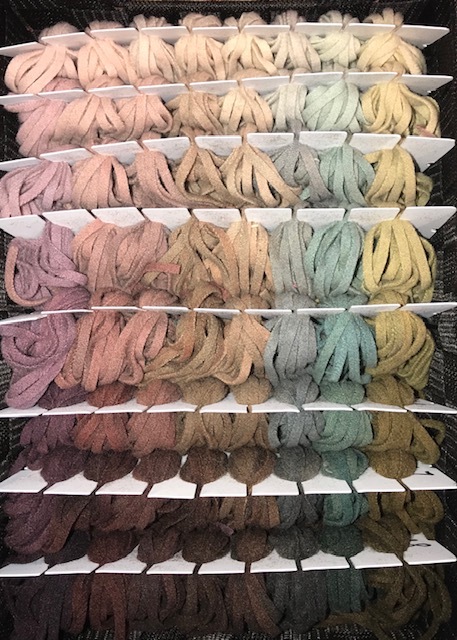 Each organizer has 8 different wool in one value. I have 8 warm wools and 8 cooler wools in order to help create the kind of shadows and light I hope to achieve.